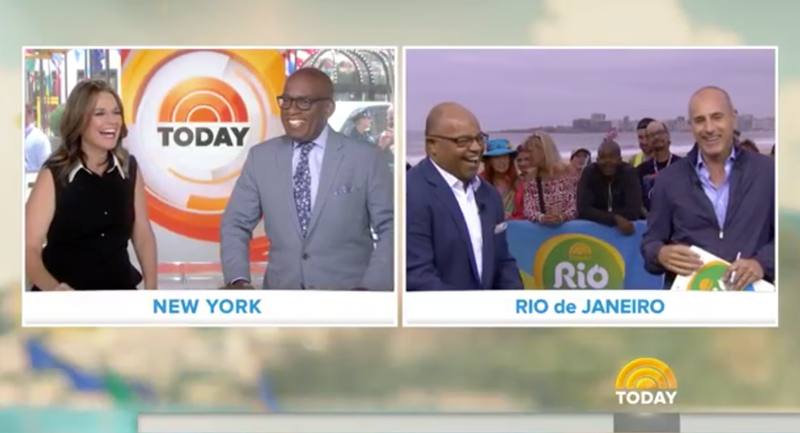 NBC’s “Today Show” is no stranger to colorizing its graphics for special events or coverage, so it’s no surprise that parts of its graphic are now carrying an Olympics logo inspired color scheme. 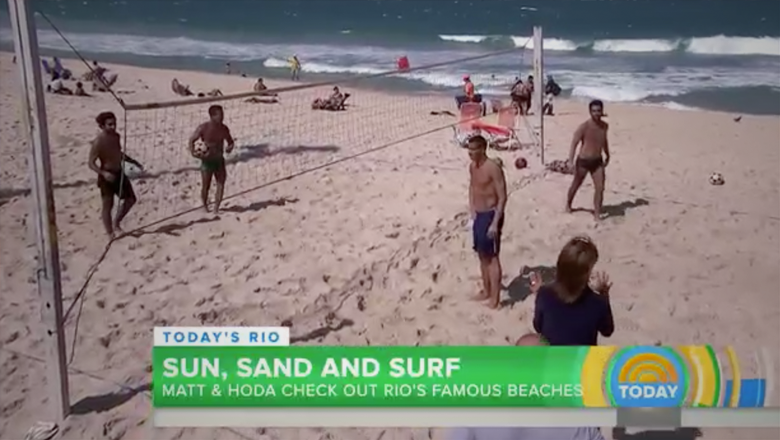 In the days leading up to the 2016 Olympics, the show swapped its blue lower thirds for a green shade similar to that found in the network’s Rio logo. The small ring segments that rotate on the right side of the lower thirds appear in blue, orange and yellow tones, also borrowed from the NBC logo. It’s important to note that the two logos, while similar and heavily controlled by the IOC and NBC, are for two distinct purposes. The IOC version, which features stylized interlocking figures, is designed to promote the games as a whole, while NBC’s version, which centers around organic amoeba-inspired blobs, is used by the network to promote its coverage, as well as part of the in-show graphics. Other networks, whether U.S. based or international or official broadcast rights holders or not, use different logos for their own coverage. It’s no coincidence that NBC and the IOC’s logos share a similar look and color scheme — typically Olympic venues are decked out with printed banners and panels that incorporate part of the IOC logo, so keeping the designs similar is a good strategy for keeping things consistent on air. 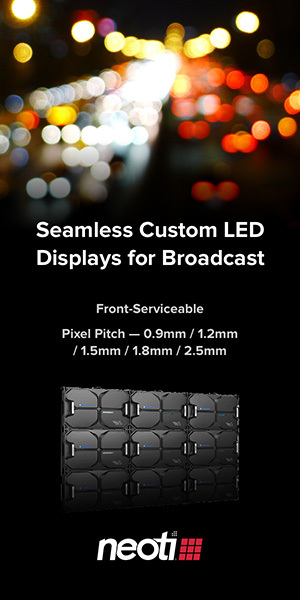 Elsewhere in the show, the network also is using a blurred skyline background.